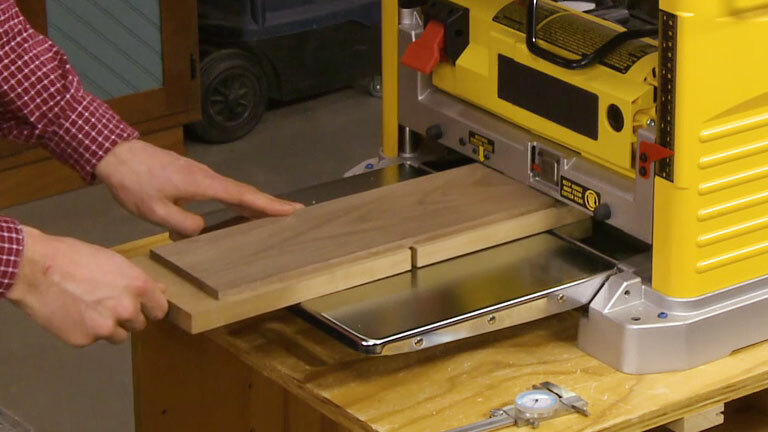 Attaching a board to a sled makes planing thin stock easier and gives you better results. The only problem is finding a good way to accurately measure the thickness without having to remove the board. Here's a simple solution for using a dial calipers.